The middle distance athlete wins 800m and 1500m Irish titles, Thomas Barr stormed to his eighth straight gold, and Leon Reid completes a sprint double. 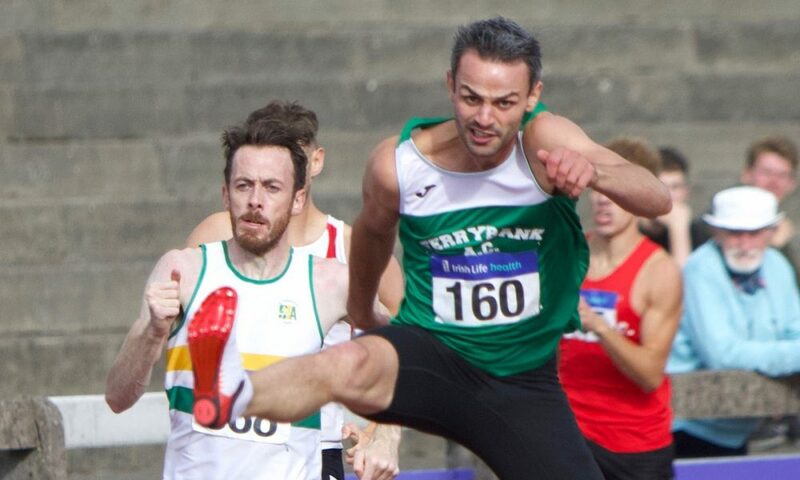 It was business as usual for Ciara Mageean Thomas Barr, Mark English and Adam McMullen with commanding performances at the Irish National Track and Field Championships in Santry, Dublin over the weekend (July 28-29). 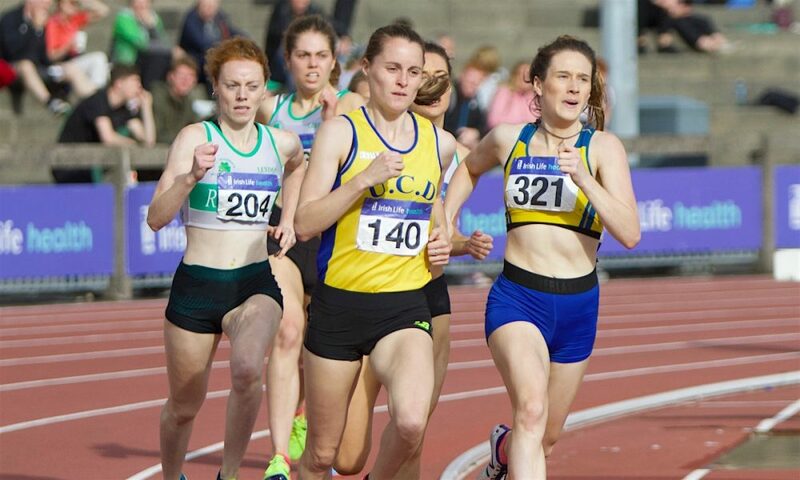 UCD’s Mageean not only took a third 800m title at Morton Stadium on Sunday, but just over an hour later won 1500m gold for a fourth time since 2011. Mageean beat Amy O’Donoghue of Emerald and defending champion Emma Mitchell of Queen’s who had won the 5000m a day earlier. In the 400m hurdles, Barr won an eighth consecutive title and he did so in a new championship record of 49.56 seconds beating the time of 49.68 that he ran in 2015. Finishing second was his training partner Paul Byrne of St Abban’s. Mark English of UCD AD won a fifth consecutive 800m and a sixth overall although he had to draw on all his experience to hold off the challenge of young pretender John Fitzsimons from Kildare AC Their times were 1:50.82 and 1:51.05. Adding the 100m title to the 200m gold he won a day earlier was Leon Reid of Menapians. Reid’s time of 10.42 gave him a solid victory over Travane Morrison of Tralee Harriers who clocked 10.54. Morrison is Jamaican studying a masters degree at IT Tralee on the effects of exercise and medication for patients following a kidney transplant. Defending champion Jeremey Phillips of Clonliffe Harriers was third in 10.55. Long jumper Adam McMullan of Crusaders AC claimed won a sixth title, four of them consecutive, although his best of 7.68 was well off his best of 7.99m recorded indoors earlier this year. On Saturday, triple jumper Denis Finnegan of An Riocht AC had won a ninth national title in twelve years, seven of them consecutive. Taking her fourth women’s steeplechase title was Michelle Finn of Leevale, whose time of n 9:46.81 was inside the B standard for the European Championships. Also taking a fourth national title was Sarah Lavin of UCD in the women’s 100m hurdles, with Kate Doherty of DSD second and Elizabeth Morland of Cushinstown AC third. Morland, the Irish heptathlon record holder, had earlier won the women’s long jump with a 6.10m leap; a day earlier, she had won the javelin. There was also a ninth title for Galway’s Sean Breathnach in the shot, whose 17.53m effort showed him to be right back in form after missing last season. Breathnach also won the 56lb for distance. In the 1500m, John Travers regained a title he won in 2016, beating Darren McBrearty of Letterkenny and Raheny’s Kieran Kelly. Ger O’Donnell of Carrick-on-Shannon again came good at the right time to beat Ben Reynolds of North Down and Matthew Behan of Crusaders in the 110m hurdles and won himself a third senior title. Marco Pons of DMP AC took a third senior title in the discus with his winning throw of 53.67m, just seeing off Eoin Sheridan of North Westmeath whose best was 53.45m. The men’s 5000m gave a glimpse of the future with US-based Mark Forsythe, whose family comes from Comber, Co Down, beating Hiko Tonusa of DSD, originally from Ethiopia, who has found refuge in Ireland. Both are planning to live in Ireland long-term. A fighting third in this race was defending champion Conor Dooney of Raheny Shamrock, who had pushed the pace from the start. Winning her first national senior title in the 100m was Gina Akpe Moses of Blackrock (Louth) AC. In a close-fought race, she beat Joan Healy of Bandon AC by the narrowest of margins with both women given a time of 10.68 and both Niamh Whelan of Ferrybank and Molly Scott of SLOT times at 11.88 for third and fourth. A clear winner of the women’s 400m was Claire Mooney of UCD who will compete in the 800m at the European Championships next month. She proved her fitness with a time of 53.85. Taking the men’s pole vault title with a 4.50m effort was multi-eventer Michael Bowler of Enniscorthy AC. 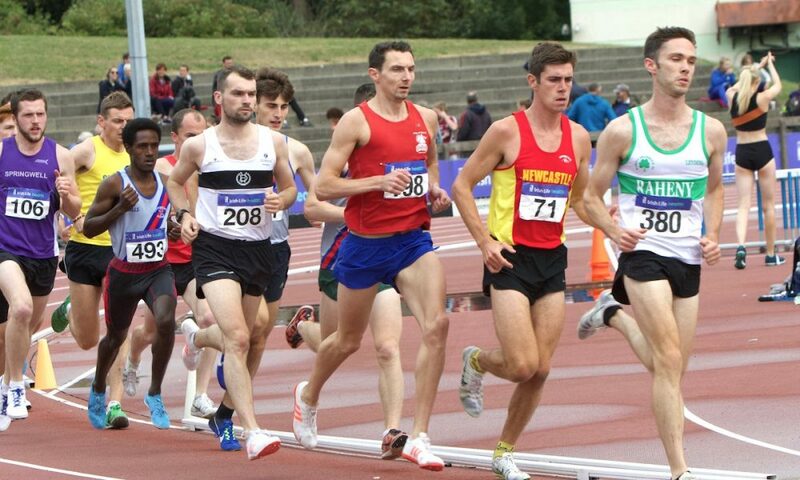 Stephen Scullion in the 10,000m was among the winners on the first day of the Irish National Track and Field Championships. A full report can be found here. 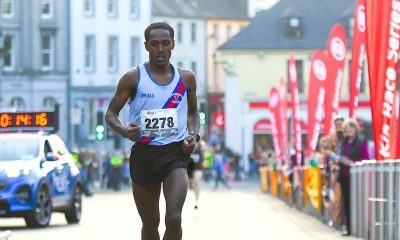 Freddy Sittuk was a comfortable winner of the Mullingar 10-Mile on Saturday (July 27) winning in a time of 54:49. His Raheny Shamrock club mate Michael McMahon was second in 54:52, while third and first master was Paddy O’Toole of Westport AC in 55:15. Jane-Anne Meehan of Athenry AC was first woman in 61:09, followed by Aine O’Reilly of Mullingar Harriers and Alma Hanevey of Crusaders AC. Eoin Durkan of Donore Harriers led home 530 finishers at the Carton House 6km trail race in Co Kildare on Thursday evening (July 26). Durkan’s time of 19:57 saw him finish almost half a minute ahead of second placed Rory Kavanagh of host club Dunboyne AC with Rathfarnham’s Barry Minnock a close third. First of the women was former Irish mountain running international Jane Bandila of Dunboyne AC. Aoife Coffey of Lucan Harriers was second and Ellen Vitting of Trim AC third. Best of the teams were the Dunboyne men and the Sportsworld women. 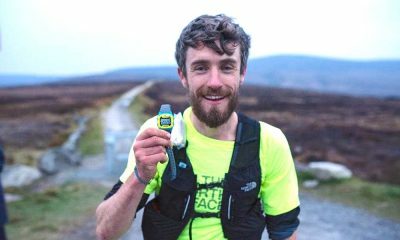 Winning the Kerry 40-Mile Ultra was Alex O’Shea in 4 hrs 29 mins 30 secs. Fellow Irish international Keith Whyte was second in 4:34:58. Catherine Guthrie was the first woman in 6:42.34. Under-17 athlete Conall McClean ran the fastest time at parkruns across the island of Ireland this weekend with a 16:27 run at the Waterworks in Belfast. 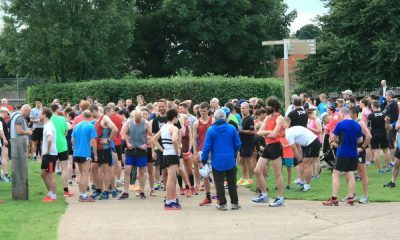 Maria McCarthy was the quickest woman on Saturday running 18:44 at the Killarney parkrun. 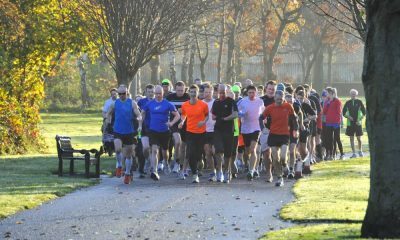 The top 10 times at Irish parkruns can be found here.